Post Traumatic Stress Disorder (PTSD) is a chronic condition where you will suffer from severe and painful emotional stress as well as physical symptoms when “triggered” to remember past traumatic experiences. These triggers can include people, places, sounds, pictures, music, smells, thoughts and even many common everyday situations that can evoke a myriad of disturbing feelings and thoughts. A diagnosis of PTSD is based on the following symptoms lasting for at least 1 month following a traumatic event whether this is a physical trauma, or an emotional trauma. PTSD is a complex systemic problem involving many physiologic systems in your body. Unfortunately, a large percentage of traditional health professionals insist that PTSD is merely just a psychiatric problem, however, this is far from the truth. Furthermore, if you limit treatment of PTSD to a psychiatric disorder and merely prescribe anti-anxiety and/or anti-depressant prescriptions, you are only treating some of your symptoms while ignoring the root causes of your PTSD. If you suffer from PTSD, there is a high probability that you also experience many other physical symptoms such as chronic pain, chronic fatigue, multiple chemical sensitivities, irritable bowel syndrome, headaches, sleep issues, appetite problems, and sexual dysfunction. Long standing victims of PTSD often develop problems related to immune dysfunction, hormonal imbalances and autonomic nervous system failure. The underlying cause of most cases of PTSD is some sort of physiologic weakness resulting from chronic stressors. These stressors may include poor quality diet, poor quality (and quantity) of sleep, use of stimulants, use of other drugs, exposure to harmful environmental factors like mold and unnatural electromagnetic frequencies (EMF), excessive work, lack of rest, chronic emotional abuse and many other forms of stress. These chronic stressors then contribute to the development of hormonal problems, autonomic nervous system (ANS) problems, adrenal insufficiency or adrenal overload, thyroid problems, disturbances of your hypothalamus and pituitary and many other physiologic abnormalities. Then, if you do experience a severe traumatic event, your body loses its ability to maintain normal functioning. The acute traumatic event is essentially “the straw that broke the camel’s back”, leading to a state of chronic unwellness and dysfunction. Consider the example of a soldier, who has been in combat for weeks or months, undergoing the hardship of sleep deprivation, poor quality food, forced vaccinations and other chronic unremitting stressors associated with warfare. The soldier has been in the proximity of explosions as bombs have detonated and killed others in the process. The soldier survives his/her tour of duty, but after a return to civilian life continues to be triggered by loud noises. This is a condition known as “shell shock” where any loud noise sets off a cascade of physiologic responses such that the ex-soldier feels like he/she is back on the battlefield and his/her life is in danger. If you are in a state of heightened activation, as the soldier is, your body learns to activate your “fight or flight response” very easily. This “fight or flight response” is caused by excessive stimulation of your sympathetic nervous system (SNS). Over time, excessive stimulation of your SNS leads adrenal problems, hormonal imbalances, and depletion of vitamins and minerals. Eventually these chronic SNS stimulations result in depletion of the reserves in your metabolic “bank account”, and every system in your body becomes very sensitive. At this point, any little additional stress can trigger an explosive cascade of symptoms. We can therefore view PTSD as a systemic problem resulting from chronic stress, not merely a psychiatric disease amenable to “talk therapy” or psychiatric drugs. The treatment for PTSD requires an intelligent, systematic, holistic approach that includes identifying the source of your excessive chronic stress and taking measures to restore proper functioning of your immune system, neurological system and endocrine system. You must reduce all excess stress by eating properly, getting enough good quality sleep, engaging in proper exercise, avoiding toxic substances in your diet and environment. For example, staying away from fried foods, sugars, vegetable oils, and most importantly neuroexcitotoxins. Certain unnatural food additives like aspartame, monosodium glutamate (MSG), nitrates, and nitrites activate your N-methyl-d-asparatate (NMDA) receptors. Your NMDA receptors are stimulatory in nature and tell your nerves to awake and fire on all cylinders when activated. By ingesting foods that contain these products, you can unknowingly trigger a “fight or flight” response and/or inflammatory process that can manifest as a PTSD episode. A very common source of chronic stress is poor air quality. Chronic exposure to inhaled toxins like certain volatile organic compounds (VOCs) and molds can contribute to immune system stress in genetically susceptible individuals. These environmental biotoxins can lead to a chronic inflammatory response syndrome (CIRS). You should also try to avoid harmful electromagnetic frequencies (EMF) which can cause excessive nervous system stimulation. Even your own thoughts can become toxic, and therefore you may benefit from learning techniques such as meditation, yoga, or mind-full breathing. Medical cannabis can be utilized to down-regulate neuro-excitotoxic receptors in your brain and nervous system. Studies show that cannabis dampens the NMDA receptors responses in your brain. Therefore, cannabis helps to block the over-stimulation that is happening in your body, thus helping to put a stop to the vicious cycle. 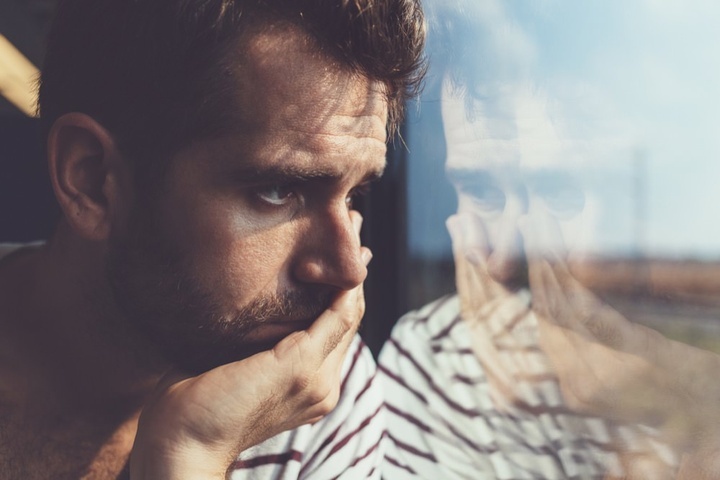 Many of us have experienced very stressful events in our lives, however if you seem to be overreacting to seemingly “normal” situations, events or thoughts, you may be suffering from PTSD. Bear in mind however, that PTSD is not “all in your head”. If you are experiencing symptoms of PTSD or have been diagnosed with PTSD, contact MD Wellness for a consultation. Together, we can establish a holistic treatment plan addressing the root causes of your PTSD and get you on the road to wellness.